Can I be fired for taking time off to vote? The right to vote is something that is inalienable to all U.S. citizens. Federal law, however, does not require that employees get time off to go and vote. Thankfully, many states have enacted some laws which give employees time off and protects their employment if they take time off to vote. Employers in these states are required by law to provide the necessary and adequate accommodations to their employees if they wish to take time off and go vote. Voting is the best way for your voice to be heard and elect the best representatives to speak on your behalf. In the state of California, you are allotted two hours to vote. The California Elections Code (section 14001) requires that employers implement some notice to their employees which advises them of the necessary steps to take in order to take paid time off to go and fulfill their civic duty and vote. Under Elections Code (14000), employees can take their two hours at either the beginning or at the end of their shift to go vote; if the employee and the employer agree to another time – like during their lunch or something – the employee is free to do so. If the employee’s precinct allows for early voting, the employee should alert the employer at least two days before he or she intends to vote. We at the California Labor Law Employment Attorneys Group often help people who have been unfairly punished by their employer for taking time off to fulfill their civic duty and cast their vote. Do employers have to give you time to vote? Can I take off work to vote? What is the federal law for taking time off to vote? Do I have to give my boss notice to leave work to vote? 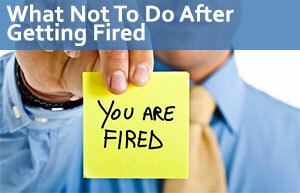 Is it wrongful termination if my boss terminated me for taking time off to vote? My employer let me go for voting or other government duties. Can he legally do that? What are my rights? What Is the Federal Law for Time Off Voting? Federal law, unfortunately, does not allow for employees to take time off work, or rather it does not require employers to allow for workers to take time off. State laws differ, and generally, allow employees to take time off. California is a state that requires employers to give their employees time off to vote. Should an employee not have enough time to cast their vote outside of normal work hours in a statewide election, an employee can take up to two hours to go and vote without losing any pay. The poll hours in a statewide election in the state of California are from 7:00 a.m. to 8:00 p.m. This encourages citizens to vote without having to worry about losing any wages due to the time they took off to vote. The two paid hours of time off may only be at either the beginning of the workday or at the end of the workday; the employee is to take the two-hour shift which gives them the freest time to go vote, and also takes less time off work. This means that if the morning commute to work is faster than the commute in the evening, the employee should take their two hours of paid time off to go vote in the morning. This assures that the employee can indeed cast their vote and miss as little work as needed. If the employer and the employee agree to another time in which the worker can take their time to vote, say the employee’s lunch time then this is fine, too. The employee is required by law to provide notice at least two working days in advance which states their need to take time off to vote. Employers are not free of procedure. Before every statewide election, employers are required, under California Election Code (section 14001), to post the voting leave requirements at least ten days prior to the statewide election in a very obvious and conspicuous place. An employer is not allowed to discipline or terminate or discipline an employee if and when they take their time off to vote. For example, if you are being considered for a promotion or a raise your employer cannot discriminate against you for having taken the time to vote and remove these advances away from you. Doing so in violation of your right to vote and you may have legal grounds to file a claim against your employer. Can My Employer Discipline Me for Being an Election Official? Some citizens feel a deeper sense of obligation to the U.S. and want to volunteer their time as an election official on Election Day, and that is perfectly within their right in the state of California. Employees who serve as election officials cannot be terminated or otherwise disciplined for being an election official. Employers, however, are not required to pay their employees on the day they are absent from work for serving as officials. If you believe that your employer has wrongfully punished or terminated you for exercising your right to vote, you may feel like taking legal action against them and collect the damages which you are entitled. The California Labor Law Employment Attorneys Group wants you to know that we are here for you in the name of the law. Our doors are always open, and we offer a free consultation with no obligation on your part. What this means is that you can sit with one of our experienced attorneys and explain your case to them – one-on-one. Our attorneys will give you their initial thoughts on the matter. They’ll tell you whether or not your case is strong enough, and whether or not they will even take it. After the meeting, you are free to take the legal advice and walk away with no financial obligation or hire our services to represent you. Before people hire an attorney, the biggest question on their mind is, “How much is this going to cost?” It’s a fair question – legal representation can be pricey. Some law firms charge their client whether or not they win the case. If the client is not awarded anything, it can put them through a financial hardship. The zero-fee guarantee is our promise to you, the client, that we are here to represent you not the money. The way we show our dedication and respect for the law is by offering a zero-fee guarantee. This means that we will only charge a fee if we are able to prove your case and win. If we cannot win, you will not pay us for our services.